For most Australians, Federal election campaigns are 33 days of TV ads, the occasional radio or TV news story, or wondering why a friend has posted a newspaper story on Facebook, all leading up to the cake stall on election day. For the journalists, photographers and camera crew who make up the travelling media packs following both leaders, the campaign is not so much a festival of democracy as a test of endurance. 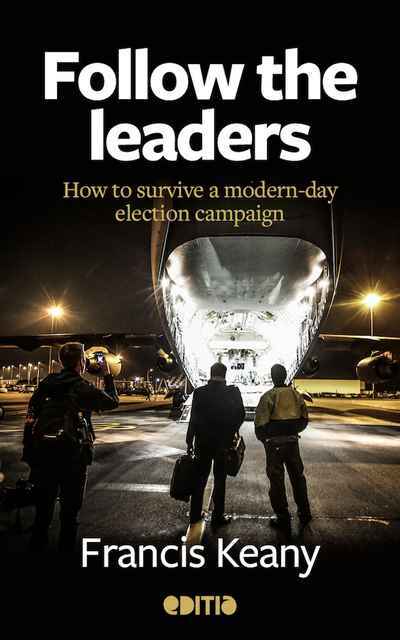 From wading through salmon guts in Tasmania to the never-ending search for mobile phone coverage, in <em>Follow the leaders</em>, radio reporter Francis Keany documents first-hand what it's like to follow the political leaders of Australia for five weeks straight on the straitened budgets facing modern media outlets. He outlines the fatigue and stress leading up to election day in 2013, following both Tony Abbott and Kevin Rudd on their high-vis tour of the nation. It is also an insight into the pressures of modern-day journalism as the media environment goes through extensive change. Follow the leaders is more than reportage. It is a love story – of Francis and his beloved Tess and of the other journalistic couples separated and reunited throughout the campaign, but most of all, of journalists and their desire to seek the truth, even when a sausage sizzle beckons.